40s Frederika Kat Fascinator Roses Turquoise from the Swedish designer Miss Candyfloss. Beautiful handmade fascinator covered with turquoise satin roses and ofcourse a small veil for the mystic touch. 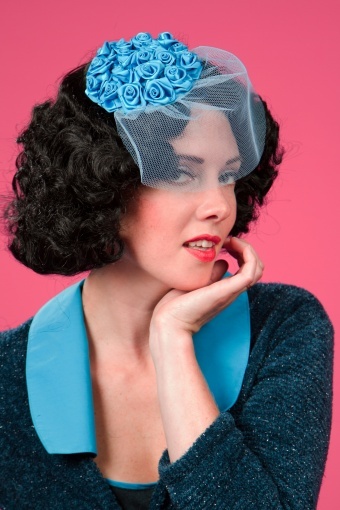 Complete your styling with this must-have headpiece for retro vintage loving ladies! Also very nice for brides!